Showing 1 - 20 of 19,898 results. 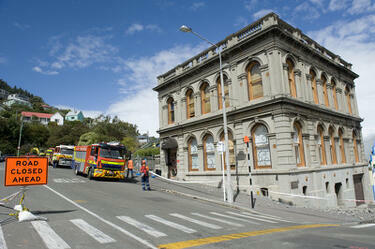 Photograph captioned by Fairfax, "Earthquake damage in central Christchurch after a 6.3 earthquake. 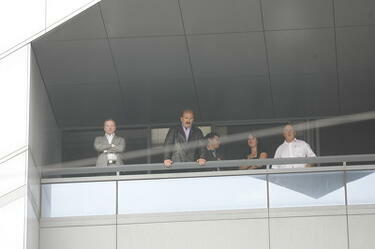 Trapped workers in the Forsyth Barr building". 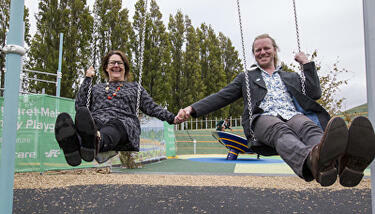 A photograph of Sue Turner (left) and Ciaran Fox (right) on the swings at Margaret Mahy Playground. Turner is the All Right? Campaign Manager and Fox is the All Right? Mental Health Promoter. The photograph was taken to promote '#BrighterAutumn', a photo competition held by All Right? 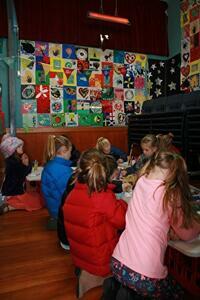 and the Christchurch Mail. 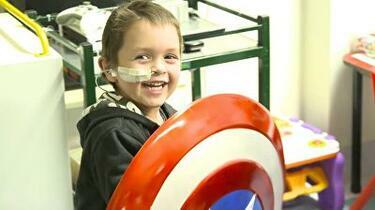 A photograph of a smiling child with Captain America's shield at Christchurch Hospital childrens' ward. Captain America was there as part of 'Outrageous Burst of All Right: Superhero Surprise', which involved people dressed as superheroes surprising children at Christchurch Hospital with gifts and entertainment. All Right? posted the photograph to their Facebook Timeline on 2 July 2014 at 12:43pm with the caption, "The smiles that made it all worthwhile...". 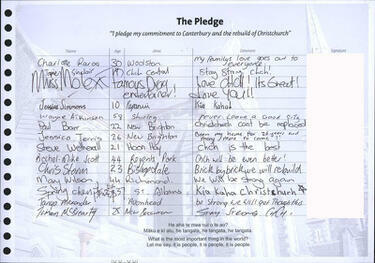 A scan of page 12 of the seventh book of The Pledge. A photograph of audience members watching Mike Moss speak about the importance of mental health and wellbeing. The photograph was taken at the All Right? 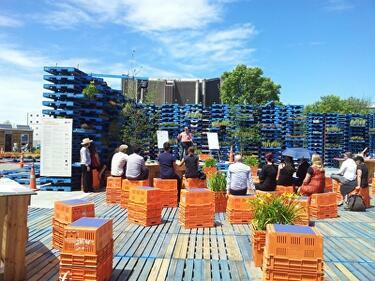 Campaign Launch at the Pallet Pavilion. 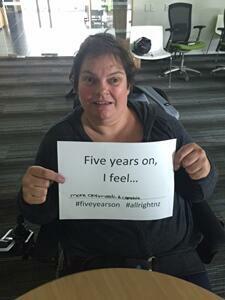 An image used to promote the All Right? Buskers festival competition for the 2014 SCIRT World Buskers Festival. 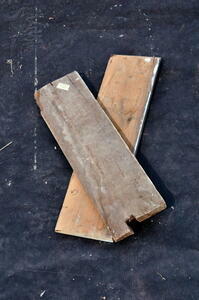 The image reads, "The Press: Bringing you the Buskers and a little All Right." The competition was a social media competition for a family weekend away in Hanmer, which was entered by posting something with the tags '@allrightnz' and '@worldbuskersfestival'. 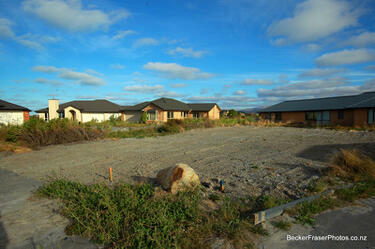 A photograph of Whole House Reuse item 487. 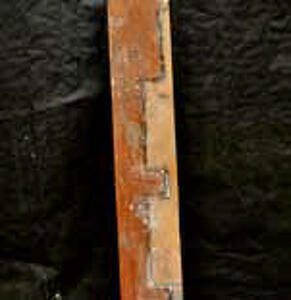 This item was salvaged from 19 Admiral Way in New Brighton as part of the Whole House Reuse project. 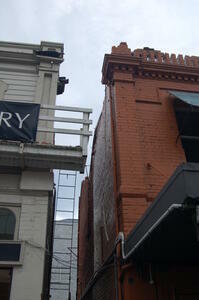 A photograph of earthquake-damaged buildings on Colombo Street. 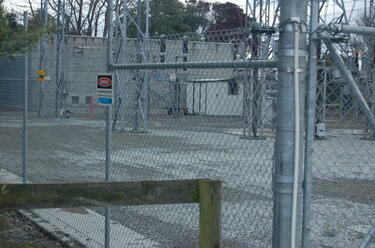 A photograph of liquefaction at Harris District Substation in Papanui. 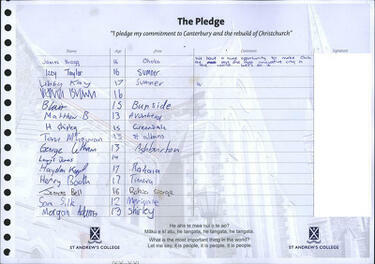 A scan of page 134 of the third book of The Pledge. 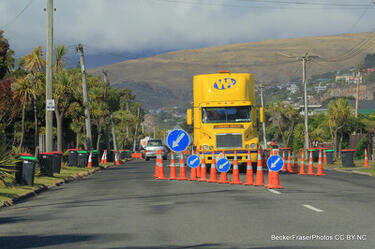 A page banner promoting an article about Christchurch Central Development Unit director Warwick Isaacs. 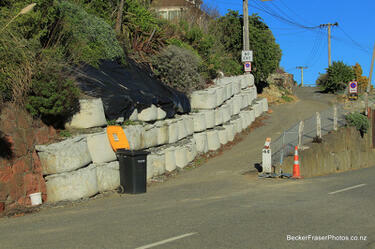 A photograph captioned by BeckerFraserPhotos, "A temporary retaining wall in Sumner Road, Lyttelton". 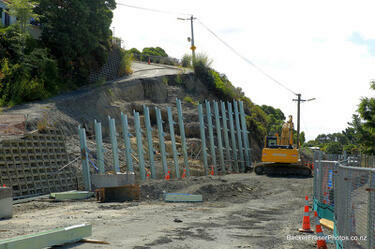 Part of Maffeys Road around McCormacks Bay has collapsed. 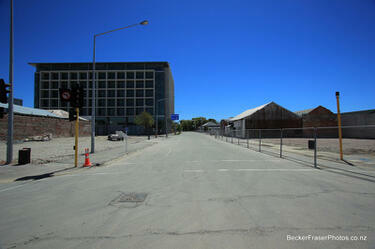 A photograph captioned by BeckerFraserPhotos, "The intersection of Madras and Lichfield Streets, looking north".